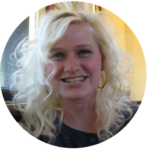 Imagine shopping at the Dollar Tree for something other than an obligatory toddler birthday gift, a toilet scrubber, or candy for the movie theater. Imagine going into the Dollar Tree and finding items you actually want to buy and can use for more than 24 hours! Would you believe me if I told you a place like this actually exists? A beautiful and brightly lit warehouse with rows and rows and rows of shelving and a fluorescent shimmering sign on the front of the building reads: Daiso. This is Japan’s equivalent of the United States Dollar Tree and it makes shopping in Japan with kids a genuine treat. Nothing could be more ironic since Japan is one of the most expensive countries to travel to. The Daiso sells stainless steel flatware for kids, miniature bbq party favor forks, perfectly sized girls stretchy hair ties, zippered pencil bags, adorable stationary, bento boxes and gardening tools. The variety is beyond impressive. ¥100 Yen is the monetary equivalent to $1 Dollar in the United States, and shopping in Japan with kids at the Daiso was like a treasure hunt. Our kids got to pick out whatever they wanted, and frankly so did we. It was our favorite place to shop in Japan, not just because of the prices, but because every store was different. The Daiso in Harajuko was massive with over three stories of goodies. We found Daiso’s in Hiroshima, Kyoto and in Tokyo. Everytime we saw a Daiso we stopped in. As you would assume there was definitely a wide range of merchandise that repeated in every store, but there was also a unique selection of items that could only be found in each individual location. We could never be sure which coveted prize we would hold in our grubby hands after each visit to this clean and colorful acropolis. Of the 4,000 stores located throughout the world 70% can be found in Japan. The remaining stores are scattered through the America’s, Australia and the Middle East – one of which we recently discovered on a trip to Los Angeles! Little known to us there are actually dozens of stores located throughout Southern California and Texas! We haven’t had a chance to peek into the American versions yet, but we are desperately missing Japan! If we can replicate shopping in Japan with kids at home at the Daiso we are familiar with, happiness abounds within its walls. ► For Kids: Shopping in Japan with kids at the Daiso will unearth gems and jewels like nowhere else and parents can be confident they aren’t simply buying dime store trash. Kids will love combing the aisles and even the stingiest parents can splurge for an item or two. Have you visited the Daiso? We’d love to hear your impression of shopping in Japan with kids at Japan’s version of the ¥100 Yen store. Or, have you been to another equivalent dollar store elsewhere in the world? We want to hear about your bargain hunting championing! If you don’t live in proximity to a Daiso, don’t fret too much. Amazon sells tons of Daiso products, like a cat repellent mat (whatever that is), a massive amount of soft clay air dry molding, and super cute bunny rabbit piggy savings bank that I’m definitely getting the girls for Easter. 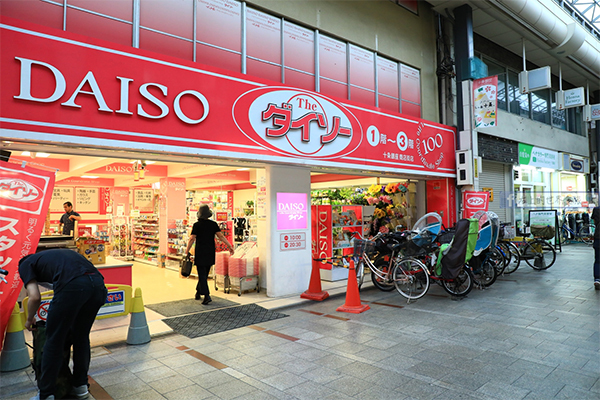 ► Nap-Time Version: Japan’s Daiso is the equivalent to America’s Dollar Store, except worth your time, money and accolades. Treasures and prizes await those who enter its doors. You can even find some of our favorite Japanese treats at the Daiso! Check out our full list of adventures during our summer spent on the Japanese archipelago.